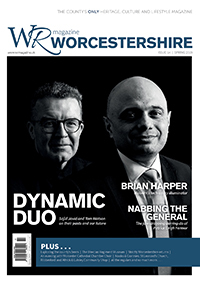 Published quarterly, perfect bound in A4 format, using full colour throughout, WR magazine is distributed FREE to more than 1,000 locations throughout Worcestershire, including libraries, restaurants, coffee shops, golf clubs, estate agents, medical centres, dentists, car dealerships, opticians, hotels, museums and many more. In addition, issues are uploaded to Magzter, the digital newsstand, for consumption via PC/Mac, and Android and Apple devices, giving a combined readership of over 50,000. I was gratified and surprised to find such first class journalism in my interview with your editor Gerald Heys. And as a former Fleet Street journalist, I know what I am talking about. Keep up the high standard, WR magazine.